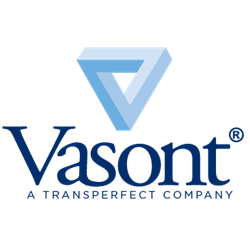 Vasont Systems, a top component content management system (CCMS) software provider, certified that their Vasont Universal Integrator (VUI) extension supports the latest release of Adobe FrameMaker, Release 2015. The integration of the Vasont® CCMS and the release of Adobe FrameMaker 2015 interlace the process of creating, editing and storing XML. The VUI creates a smooth continued operation by connecting the functionality of the Vasont CCMS to Adobe FrameMaker 2015. Users are able to access the Vasont CCMS functionality through the interface in Adobe Framemaker to take advantage of the Vasont CCMS’ noteworthy content reuse capabilities, processing options, and workflow tasks without toggling between two different programs. While XML is created and edited in Adobe FrameMaker, users can access and store the content in the Vasont CCMS to manage and track content for reuse and repurposing. This integration provides a productive and streamlined editorial cycle for writers and editors. Adobe announced the new release of Adobe FrameMaker with enhanced features for a more beneficial and simplified working environment. In Adobe FrameMaker 2015, you are now able to write bi-directional technical content and publish these digital assets across multiple devices without any plugs-ins. The collaboration of Adobe FrameMaker with the Vasont CCMS gives writers, editors, and reviewers a unified editorial process for smarter publishing.